It has been a long time from the last news video (Wasn’t much happening though 😉 ). 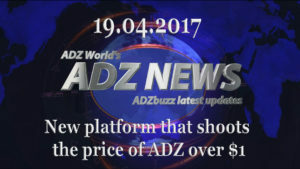 But now… now I will bring to you one of the most exciting news in ADZbuzz’s history. We are on the verge of huge explosion and you too can play a roll in it. Watch the video and you will find out what I mean. 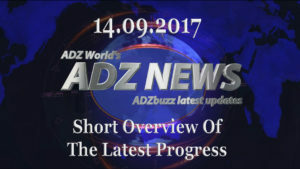 Well explain of the new update of Adzbuzz progress Armin. 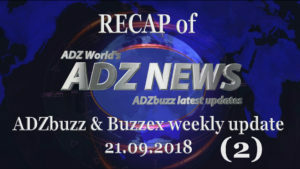 With this new update we all hope Adzbuzz will gain traction and the price of Adzcoin will rise as it should be. Thanks again for sharing with us the good news. Keep it up the good work.